Some people are confused about what is meant with the expression, “business in the Cloud.” Some think it is new technology. It is not. It is really about services, the type of services you want to use, and how they are delivered. What people call the Cloud is nothing more than really putting the cost of licenses up for payment over time. Think of it like a utility—water or gas—that is delivered to the home. You pay only for what you use like a utility. The true cost is not there to support it. The Cloud, therefore, allows you to pay for a license on time and pay only for what you use. So, when is it in your interest to use the Cloud? That depends on what you want to achieve. Some people want to do something in the Cloud just because it is what they have heard and they do not want to miss out on new technology. Through careful inquiry, I help my customers determine if doing business in the Cloud is right for them. Sometimes it happens to be cheaper or better to do business the traditional way rather than do it in the Cloud. Each situation should be carefully evaluated. Think about your systems, how much control over the content you want, how proprietary it is, the risk/benefit profile, the cost, and the type of information shared. For example, one of my customers was not a good candidate for business in the Cloud. His content was his differentiator and it was critical for his business to have complete control over all aspects of the content—they were successfully doing it using fairly cheap hardware and open source software. Before choosing to use Cloud services, specific considerations must be given and every application must be evaluated carefully. The Cloud industry is still in its infancy. There are no standards that provide interoperability between Cloud environments. Applications developed on force.com platform cannot be transferred to Google platform or brought in-house to be able to run on traditional Microsoft/Oracle platforms. I do think industry will evolve and come up with solutions, but until then, it is up to the business to perform due diligence for their Mission-critical and proprietary applications and determine if they are candidates for cloud services. 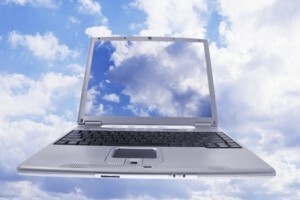 On the other hand, if there is no differentiation in the technology, the benefits of the Cloud could reduce the costs. Mail servers, document storage, email, calendars, and communication programs are well served in the Cloud. It is important to look at each item or function separately and decide on an individual basis which functions are best served and more cost-effective if they are done in the Cloud. There is a way to calculate TCO (Total Cost of Operations) for the Cloud and compare it to the traditional model to help make the decision. TCO for the Cloud should include not just cost, but other non-cost factors. In some cases, many businesses will find that cloud services are more expensive over a period of longer horizon.